Do you recognize.. you are sitting at home on the couch with friends and you are thinking about what to do. You do not want to do something ordinary. It should be something different, something you have never done before. In brief, a REAL and new experience. Again a drink in the café around the corner? BORING… In Amsterdam they offer a solution or anyway something different. 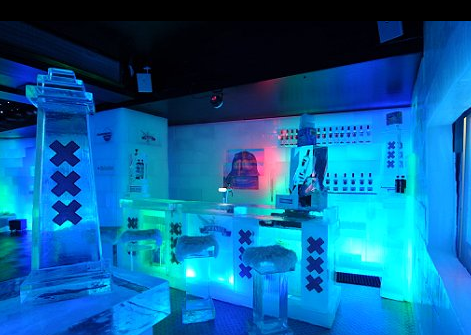 In 2006 Ditems Entertainment Group established the first ice bar in the Netherlands, called XtraCold Amsterdam. 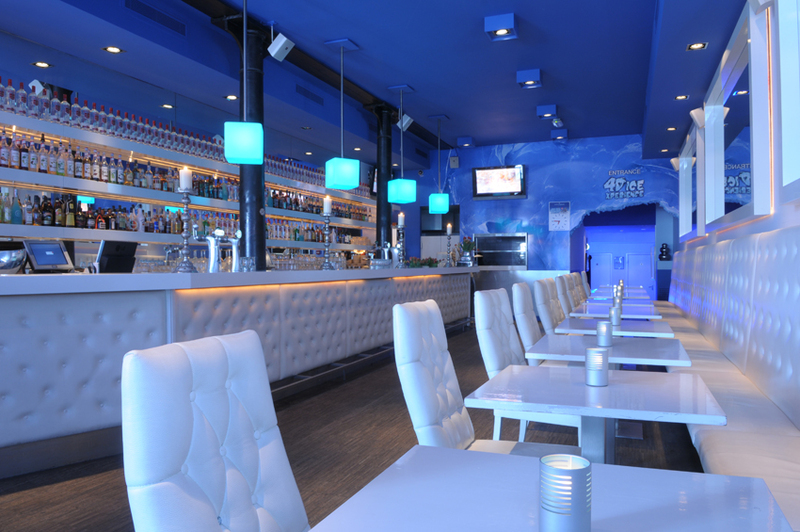 The bar is located in the center of Amsterdam near to the Amstel. The bar differentiate itself from other random bars, because it is probably one of the coldest bars where you will ever be. The temperature is minus ten degrees. In the ice bar everything is made of ice. The walls, the bar, the barstool and even the glasses. So literally everything. At the entrance of the Icebar each visitor receives a warm coat and mittens before entering the bar. This is one of the services the bar is offering. In the bar you can get a drink or you can check a nice 3D animation video. The movie has a duration of 10 minutes. By means of a polarizing glassed, special clothes, wind turbines and a temperature of minus 10 degrees you will make a ride through an ice landscape. You cannot stay for hours in the ice bar. The duration of a visit will be between the 25 and 30 minutes. It will cost €19,50 per person. This price is including two drinks. The ice bar is for all ages. There are different arrangements. First of all you can book a cocktail workshop. Within 1 – 1.5 hour they will learn you how to shake a cocktail. In consultation with the bartender you can decide what cocktail you want to make. For companies it is also possible to arrange their meeting in Xtra Cold Amsterdam. It’s able to make a reservation for a meeting from Monday till Friday from 9.00-11.00 o’clock. The meeting will be held in a modern ‘cool’ lounge. After the meeting the group will visit the Ice Bar. 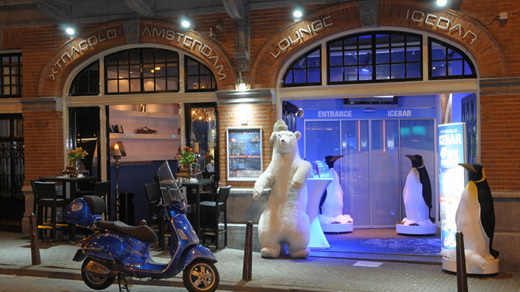 But that not all.. Xtra Cola Amsterdam also offer the opportunity: the Icebar Cruise. This is a cruise of 1.5 hour through the canals of Amsterdam with a VIP water taxi. The cruise includes drinks and snacks. After the cruise you will be dropped off at the Ice bar. Sometimes customers become so enthusiastic about a certain experience that they want to buy a souvenir. Xtra Cold Amsterdam responds to this need by having a Xtra Cold Shop. In here customers can buy: scarfs, flaphats, ice bar buckets and similar. In my opinion Xtra Cold is creating a great experience. They have a clear theme: ice. Everything is made of ice and you even have to wear special clothes provided by the company. Everything they do is based on the ice experience. They have created a Xtra Cold shop where customers can buy souvenirs. Everything is made of ice from walls till the glasses, so it feels cold as ice. Besides, the temperature in the bar is minus ten degrees.